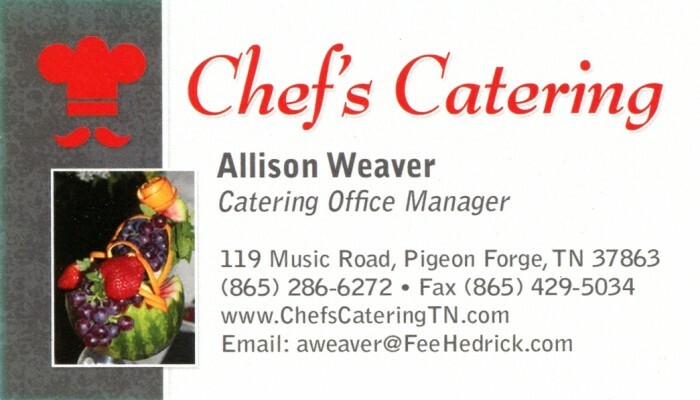 A Perfect Blend of Sensational Food, Inspiring Ideas and Professional Staff Chef’s Catering, Inc is dedicated to excellence in food and service. It is our philosophy that high-quality cuisine combined with beautiful, creative presentation and impeccable personal service is something that every client deserves. Customer service and satisfaction are of utmost importance to us. That service begins with attention to detail – whether it is listening to a client’s desired menu while being sensitive to their budget, or checking the freshness of each food product that is purchased. It continues by inspection to ensure the quality and presentation of each finished dish as it leaves the kitchen. Our impeccable service is evident through our attentive, service-focused staff that has gained the reputation of exceeding our guests’ every expectation.